Let’s start with something easy. What is an airfare? The airfare is the price that you pay to travel on an airplane. The fare may be one-way or round-trip. The price consists of a base fare plus the regular taxes and fees. So what are the main types of airfares? 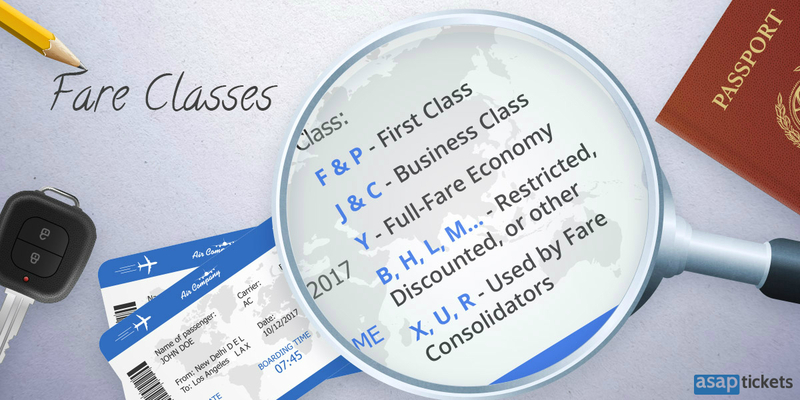 There are two main types of fares, published airfares and unpublished airfares. Let’s dive in for a closer look. Anyone can buy a published airfare. You can buy them from anywhere – airlines, travel agencies, or online booking sites. Below are a few different types of published airfares. They all have their own special rules, restrictions, and availabilities. Airlines will fill airplane seats with a variety of these fare types. These fares are discounted international fares. Apex fares are usually purchased in advance – this is called advance purchase. For example, you need to buy the ticket at least 7, 14, or 21 days before departure. They will have some other restrictions attached, such as being non-refundable and fees for any changes. These are the most expensive types of airfares. This is because you can refund or change these tickets as necessary. They can also be purchased on the same day you travel. The pricing for these fares is used as the benchmark for the discounted fares. So, this is basically the regular price of the fare. Joint fares are a result of more than one airline working together as partners to get you to your destination. Through fares can be combined with the above fare types and happen when you fly through a gateway city. Although you will be flying via a third city, you are only charged one fare from your departure to your destination. Bereavement fares are last-minute fares that are available right up until the time of departure. Airlines offer them to family members for funerals, or in the case of imminent death. Although bereavement fares are usually discounted full fares, they may not always be the cheapest ticket. The discount is usually 50% of the full fare. You can only buy bereavement fares from the airline directly, over the phone or at the ticket counter. Apparently, in recent years many airlines have been cutting their bereavement fare options. An open jaw ticket is a return ticket, however, the departure and the destination are not the same each way. For example, you fly from New York to Rome, have a little road-trip around Europe, and fly back from Paris to New York. NY to Rome, Paris to NY. Going to a different airport in the same city is not considered to be an open-jaw flight. (layovers are under 12 hours and stopovers are over 12 hours). Traveling this way allows you to visit many destinations and save on overall flight costs. Booking open-jaw and multi-city flights online can be very expensive. The best way to book these types of flights is to use a travel agent. They are experts at piecing together these types of flights. When you book your flights with a travel agent, there may be the option to get reduced rates for youth, child, or senior travelers. This depends on the airline and the airfare. However, these discounts may only apply to full-fare tickets, or only be 10%, so our discounted fares may already be the cheaper option. Infants are usually classified as up to 24 months old (2 years). Children are from 2-11 years old. So aside from published fares, we also have unpublished airfares. These airfares are not available online through flight booking websites and neither on the airline’s own website. You also cannot call the airline to book these flight deals. Travel agents find these airfares through a Global Distribution System (GDS). To get an unpublished airfare, you will need to contact a travel agent. There are varying discounts available on these fares, depending on your route, airline, dates, etc. Also, the fare rules for these airfares may vary wildly, including some of the restrictions mentioned previously. Unpublished airfares are also known as private airfares, wholesale airfares, consolidator airfares. Fare consolidators are also known as bucket shops in the UK. Ok, here is one type of airfare you probably haven’t heard of. Opaque airfare prices are shown without revealing the airline or the flight number (and in some cases the flight times). Airlines offer these opaque fares as a way to keep the prices private until after they are purchased. This is because airlines don’t want to sell all of the seats on an airplane at the lowest price. You may find a letter code on your boarding pass or e-ticket which signifies what type of airfare you have. These lucky letters usually represent First Class. These ones are for Business Class. This is pretty much always used for full-fare economy tickets. B, H, L, M, etc. These represent other subclasses like restricted or discount fares. Each airline uses them in different ways with different meanings. These letters are usually used by fare consolidators. So how do you get discount airfares and unpublished airfares? The best way to book flights is to use a travel agent. Travel agents have access to special flight booking systems called Global Distribution Systems (GDS). Here at ASAP Tickets, our travel agents have access to all of the available GDSs on the market. This means we can find you the best possible airfare for your desired route and travel dates. The more flexible you are with your travel request, the more opportunities to save on your flights. 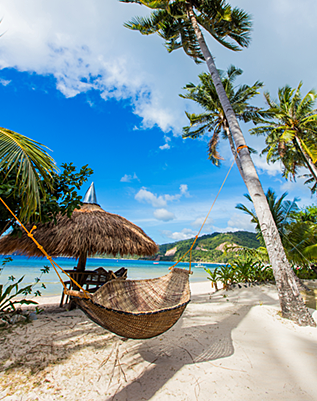 Our travel agents are experts and work with changing flight prices every day. They know where and how to find the best flight deals and itinerary combinations. And it saves you time & money searching for flights (not to mention you won’t even be able to find unpublished fares yourself). Call us anytime, toll-free at 844–300–7983 for your personalized deal. Would you like to find out more insider tips about booking cheap flights? Tell us in the comments what you would like to learn about next! ATL to ATH during September/October. Hi James, I have sent your travel request to the agents, someone will be in touch soon! Thanks Ann, I’ve forwarded this to our agents and someone will be in touch shortly! Thanks Kevin, an agent will be in touch shortly! tips, many thanks for blogging. When is the next article out? Hi Monique! We are glad you liked reading our blog post! We are currently working on more guides to publish. the tips myself, you are outstanding. Do you do onkine seminars? Hi Lavonda! Thank you for your feedback. Unfortunately, we don’t do online seminars. Please, subscribe to our newsletters for more updates.